Khadi cotton is fine and lightweight – very different from run-of-the-mill cotton familiar in the UK. That’s a perfect pun: khadi could not further from factory made. 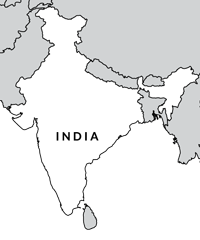 It’s handspun and handloomed, native to India and symbolic of Gandhi. He advocated a spinning wheel for each household and famously wore only a simple khadi dhoti, even in chilly London! 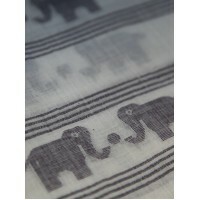 The cotton for Kala Bo comes from South India and it is handwoven in Bengal. 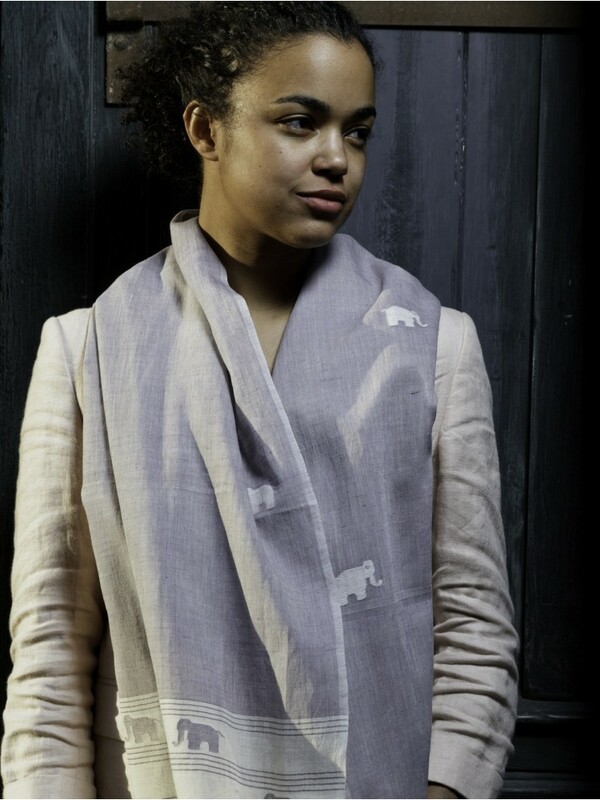 Silk Chassis’ Kala Bo are woven in a family-run workshop outside Kolkata, where 50 skilled weavers handloom the khadi cotton and ‘figure’, or weave, the jamdani motifs. Jamdani has a long history in this region, particularly in Dacca, now in Bangladesh, where it developed centuries ago alongside the practice of weaving muslin. Muslin is the incredibly fine cotton cloth of Bengal, once woven exclusively for the Mughal emperors, who, like the British in India, recognised the weavers’ extraordinary skills. The finest muslins could contain nearly 2,000 warp threads (those running the length of the fabric) but remained so sheer and light they were likened to ‘the skin of the moon’ . In the exquisite paintings of Mughal emperors and their relatives, they are often depicted wearing transparent garments with delicate floral and other motifs – which would have been created by jamdani technique. It’s an exacting technique, requiring experience and patience. Jamdani motifs are created by extra weft – the threads across the width of the scarf - during handweaving. 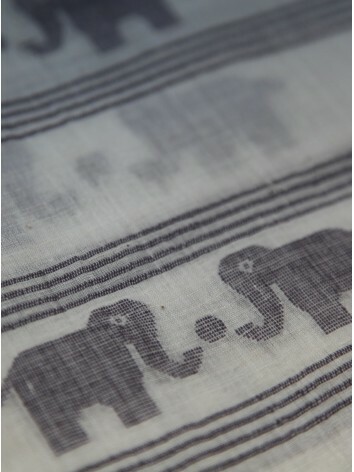 Jamdani is centuries old; traditionally weavers were inspired by the natural world around them. The term jamdani comes from Farsi for ‘flowered’ or ‘embossed’, suggesting the technique may have originated in Persia and been transmitted to India, in particular Dacca, which is now in Bangladesh. Kala Bo’s elephants may look as if embroidered - which would be much easier – but they are entirely handwoven. This accounts for the subtle differences in their depiction – making each scarf unique. Kala Bo scarves can be dry cleaned or hand washed (30°C). Do not tumble dry. This intriguing shade – grey or violet depending on your eye – is elegant and flattering to many complexions. Kala Bo Polo features pairs of elephants playing ball in decorative rows at both ends of the scarf. Creamy-white elephants gambol in the rest of their scarf – a nice contrast to their colourful cousins playing ball below! Please note, the close-up image shows the design you will receive. The other two photos depict both Kala Bo Solo and Kala Bo Polo patterns in the same hue.